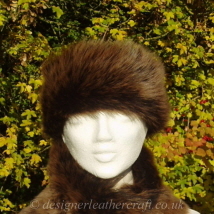 Classic Amandari Toscana Shearling Headband H7 �48 ON HOLD MG ? 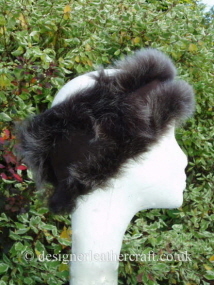 Womens Shaped Toscana and Merino Shearling Headbands for Sale from Stock. 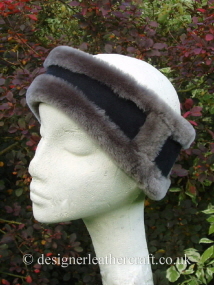 The Classic Toscana Shearling Headbands are made in a tube with shearling inside and outside of the band. 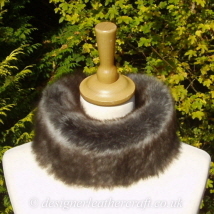 They are usually made from toscana skins with fairly thick wool which suits the design and have short elastic inserts inside at the back to give a snug fit. 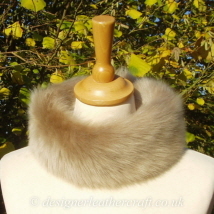 They can be made with a flash of a second colour to compliment your clothes. The price made to order may vary from the stock price depending on the skins available. 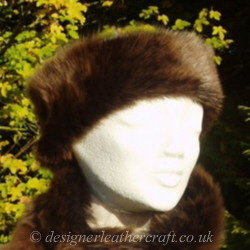 The Shaped Shearling Headbands with the suede showing are made with a single layer of sheepskin turned over at the seams and edges. 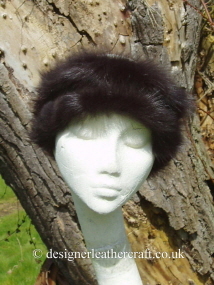 They are made from merino sheepskin or toscana skins with lighter weight wool wool which suits the design and have short elastic inserts outside at the back to give a snug fit. The elastic is hardly visible as the wool covers over it. The price made to order is likely to vary from the stock price depending on the skins available. To work well the wool has to run in all directions. 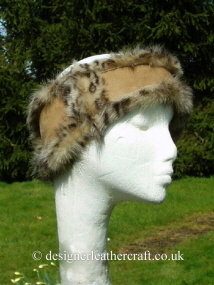 This usually only comes from the top of a sheepskin. An ideal use for the large top offcuts from coat or jacket panels but very uneconomical cut from skins. 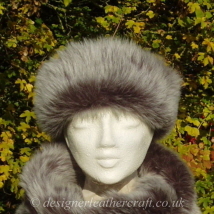 The shaped headband has proved popular but as suitable toscana is not usually available I have made a new shaped design with wool on both sides.